says you can't stock up for yourself and just take it out of the box. 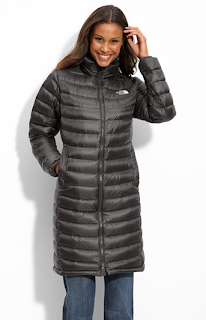 Not only can you keep wearing these for a month or so still, store them away for next winter. Pattern tights will always be in. Sequins abound for New Years and then they sort of die. There are tons of occasions during the year that could call for a sequin tank, however: like one's birthday week, your friend's bachelorette party, a fun dinner party, or if you're Serena van der Woodsen, bedtime calls for sequins! 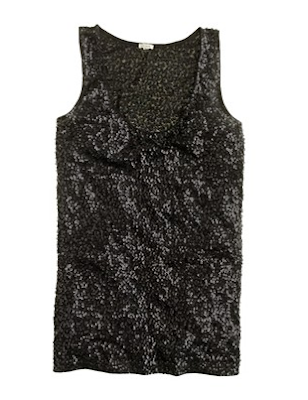 Not to mention that this black sequin tank can be recycled in countless ways for New Years to come! Take it from someone who used to be a boutique buyer: the basics of premium denim do not change much from season to season. It is common among companies like J Brand or 7 to rename styles and clear out the old style, and to present new washes seasonally. BUT especially when it comes to tried and true dark washes, the look changes very minimally. So why pay more for this season's model when last season's model would work just as well! 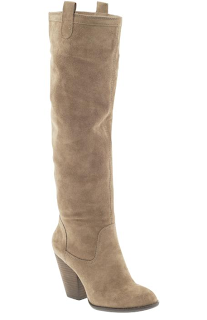 I mean, this boot may not actually be "timeless", but a fitted to-the-knee boot with a walkable heel will be a go-to for the forseeable winters just because, well, people wear boots in the winter!! Again, back to sharing my expertise as a former boutique buyer...there's a season called "resort" that the average Joe may not even be aware of. Stores receive it right after the holiday shipments and they are full of brightly colored, thin fabrics sewn specifically for those shoppers who "winter" or who "vacation in January" or who "holiday" places or go to "resorts" during breaks. So, these things have been hanging in stores for a few months, but now that all the new spring stuff is coming in, the resort stuff has to go...on sale! But now's the time you can actually wear it. Look for maxi dresses like this one, white jeans and pants, and other beachy prints! and be okay with staying warm, mmmk? It's been a while. I really have no excuse. Except that I have a 2 year old. 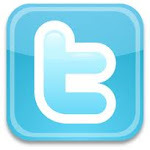 (I use that one a lot.) 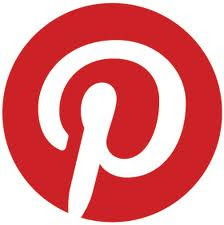 :) But, I do have a new obsession that I am excited to share with you fab peeps. soon as I purchase that foundation. What? You know you do the same thing. So, bravo Chanel! You got me. One look at the ad for Perfection Lumiere foundation, and I suddenly find myself in my Ford Edge running stop lights to get to Nordstrom. So maybe I don't look EXACTLY like the gorge Chanel model but I do LOVE this foundation. It totally feels like silk and covers so well! Not to mention that it smells delicious. The best part about it is that it's still going strong at the end of the day...which is saying a lot because I am either chasing above-mentioned 2 year-old around all day or hauling tons of clothes all over creation for our clients. Also, I've never found a foundation that matched my skin so perfectly. 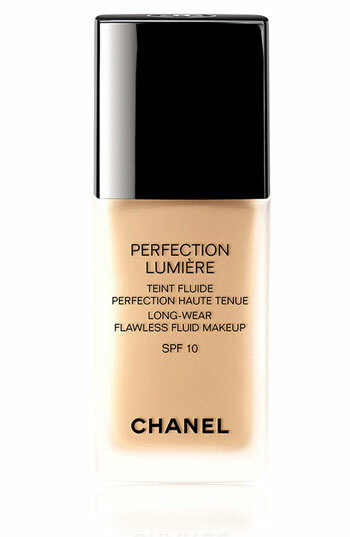 I am also loving the Chanel Corrector Perfection long lasting concealer. It looks so natural and isn't cakey at all. Moral of the story? Chanel is fab and you can't go wrong with it. :) Go! Get it. You won't regret it. 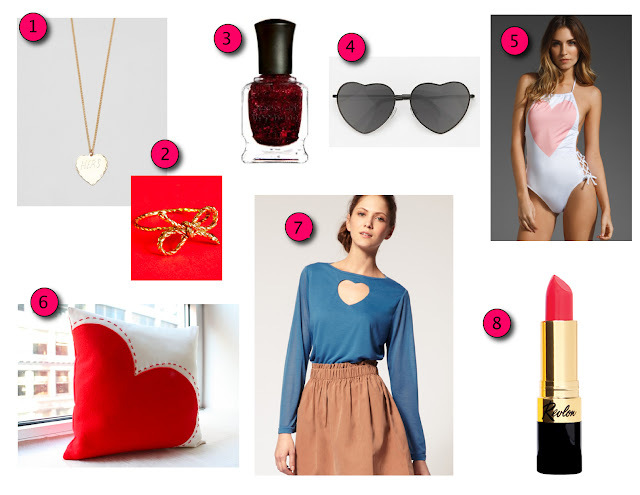 Because I love the snot out of y'all, and I can't send every blog reader a box of average drugstore chocolate, I made you a list of some of my favorite Valentine's Day-themed items! And they're way less fattening. However, if you're gonna wear that white swimsuit (5) this summer, you should probably just toss those chocolates straight in the trash can right now. Call me the voice of reason. But look at all those accessories on the list...Eat up! See, I do love you. Happy Valentine's, Everyone! 1. "Hers" brass heart necklace by In God We Trust, $40, needsupply.com. My love of small jewelry is well documented. 2. "Forget Me Not" ring by Kiel Mead, $58, fredflare.com. See #1. 3. Deborah Lippman polish in Bad Romance, $17, amazon.com. Good luck getting glitter polish off without a table saw, but it sure is festive when it's on there. 4. Heart sunglasses, $16, Urban Outfitters. Yeah, so maybe this is taking the whole heart thing a little far, but why not go all the way on this, the cheesiest of holidays. 6. Embroidered Heart Pillow by HoneyPie Design, $36, etsy.com. So adorbs all year, not just today. 7. Cut-out Heart Top by Dansk, $60.88, ASOS. It's not sewn on there. That heart is cut out. So cute. 8. Revlon Super Lustrous Lipstick in Fire & Ice, $6.39, drugstore.com. Classic Marilyn Monroe red right here. The same color has been with Revlon since the 50's. I've been waiting SO long for this video to come out! We shot it at the beginning of last August on quite possibly the hottest day I've ever worked a music video. I wore my swimsuit. Under my tank top and shorts of course. But that's how much we were sweating! For wardrobe in this video, we used a lot of Free People, the main dress she is wearing on the bike is from Fossil of all places, and the belt is Antik Batik that we tweaked a little bit with some extra feathers. Another fun note is her cutie patootie swimsuit top is from Leona, who is releasing a much broader selection of swimwear this spring. I'm a sucker for a ruffle, and Leona has ruffles-a-plenty! One of our FAVE things were her slip on shoes from Keds (on bike and with boombox.) This shoe is perfection for dressing down sundresses or for wearing with rolled up boyfriend jean shorts. Jan bought several more colors after the shoot she loved them so much! 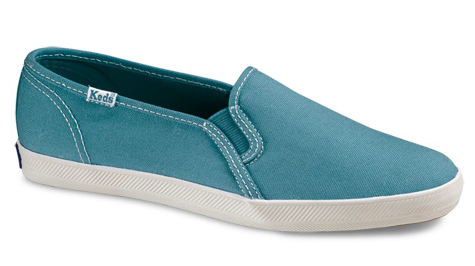 Keds has a teal pair on line right now. Aren't they just the perfect amount of "not too bright I just bought these don't be blinded by the newness"? In the meantime, don't be blinded by the GORGE-i-ness of Jana in this video. It was a hella hot day, and she looks fresh as a daisy. And can you tell she's an actress? I mean, that tear! I almost shed one myself watching her Oscar-winning performance.